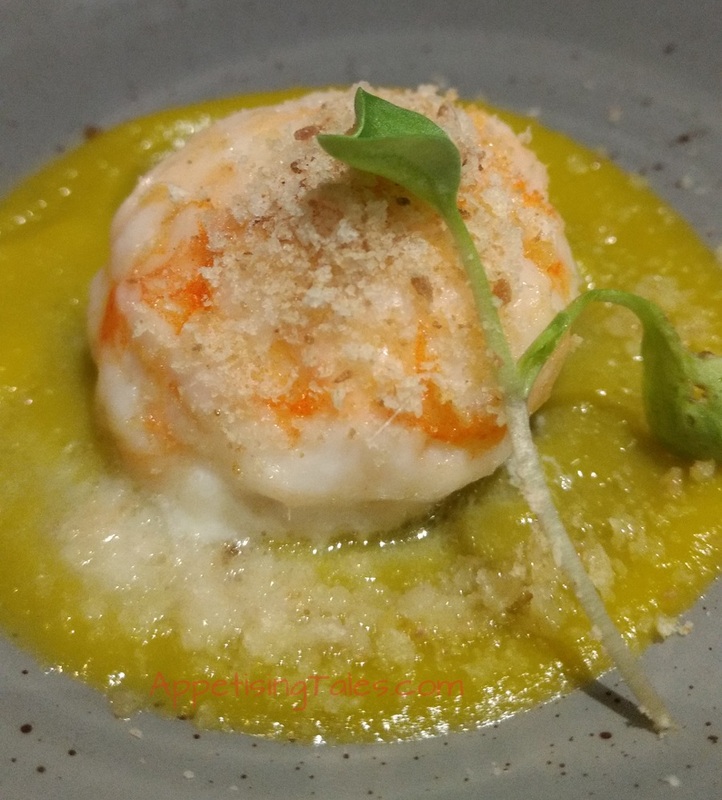 What do you do when you can’t visit Michelin Star Chef Riccardo Sculli’s Ristorante Gamberro Rosso, Marina di Gioiosa Jonica RC, Italy? You enjoy his creations when he is invited to curate a handcrafted menu at Sorrento, Shangri-La’s - Eros Hotel, New Delhi! 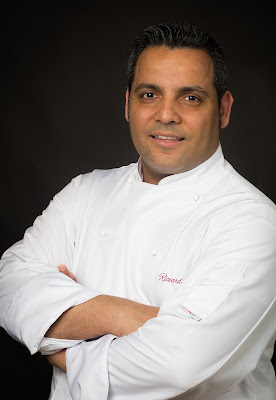 In town just for a fleeting four days, Chef Riccardo is serving up some of his signature dishes such as Carpaccio di Aragosta e verdure (Lobster carpaccio with seasonal salad and tomato gelè) and Risotto allo zafferano con mud granchio e ribes rosso (Saffron risotto, mud crab and red currants). Hailing from the beautiful Ionian coast along southern Italy, he finds inspiration in the sandy beaches, pristine waters and mountains of his region. “Every dish has its own story,” he says. 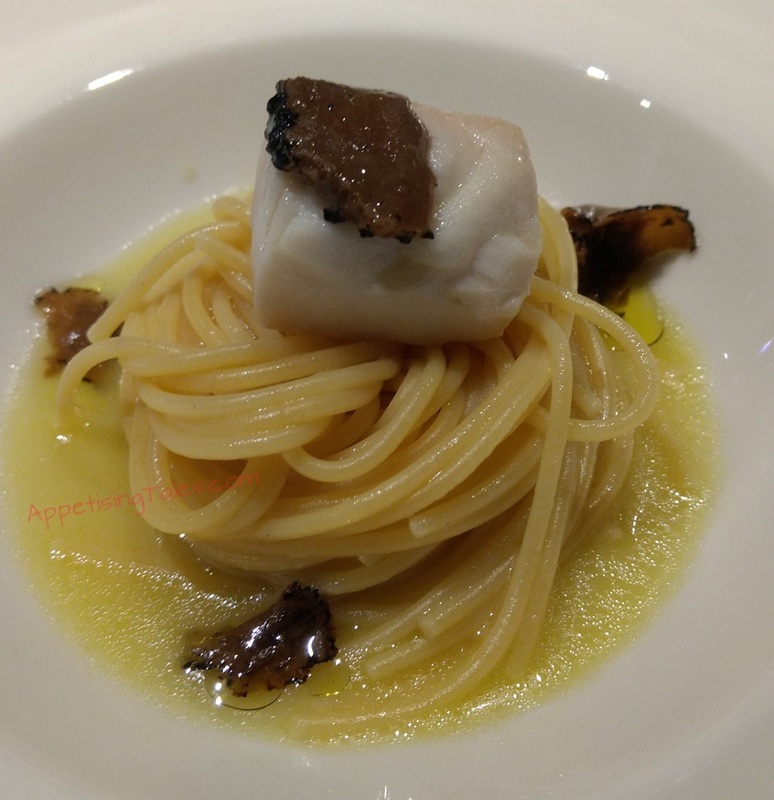 Thus the spaghetti that he makes with black cod and truffle is an exquisite yet utterly simple dish that is currently available in his restaurant since the cod comes from the surrounding sea and black truffles sourced from the mountain nearby. And as always, after enjoying a couple of his beautiful dishes, I got a special takeaway for you: Chef Riccardo’s recipes! Sorrento, Shangri - La’s - Eros Hotel, New Delhi, 19 Ashoka Road, Connaught Place, New Delhi 110001. Dates: Till Tuesday, 28 February, 2017. Timings: Lunch 12.30pm-2:45pm; Dinner 7.30pm-midnight. Price: Rs 4,495 plus taxes per person for a 4-course meal curated by Chef Riccardo Sculli. 1. Blanch the spaghetti in boiling water, until al dente. 2. Add the fish stock in a pan, along with the spaghetti, and season with salt. 3. Cube the black cod fillet, and add to the cooking spaghetti along with the black truffle oil. 4. Toss well to combine. 5. Ladle the spaghetti onto a serving dish, place pieces of cod and black truffle on top of the spaghetti. 1. Wash and devein the shrimps, and spread them out on butter paper and drizzle olive oil on the. Then beat the shrimp gently to flatten them into a thin, uniform layer. 2. Chop burrata, and add lemon zest to it. 3. Spread the shrimp on a half moon mould, fill with burrata and lemon zest mixture, and cover with another flattened shrimp and mould it into a round shape. Sprinkle Maldon salt on top. 4. Mix dry white bread crumbs with anchovy, and bake in oven until the breadcrumbs become crisp. 5. Now cook the stuffed shrimp in a moderately hot oven for three minutes, or until shrimps are cooked. 6. Heat pumpkin puree in a pan. 7. Spread pumpkin puree on a plate, place cooked shrimp on it, sprinkle anchovy bread crumbs and garinsh with micro greens.